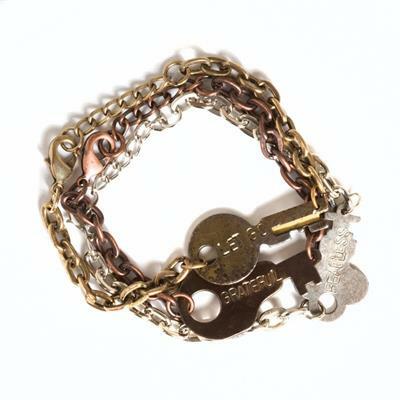 The Giving Keys 'Never Ending' bracelet is a stylish addition to the popular repurposed key necklace collection. Infinite from end to end, this bracelet carriers never ending inspiration. Embrace the message of the LET GO bracelet and wear it until you meet someone who you feel needs the key more than you and pay it forward.